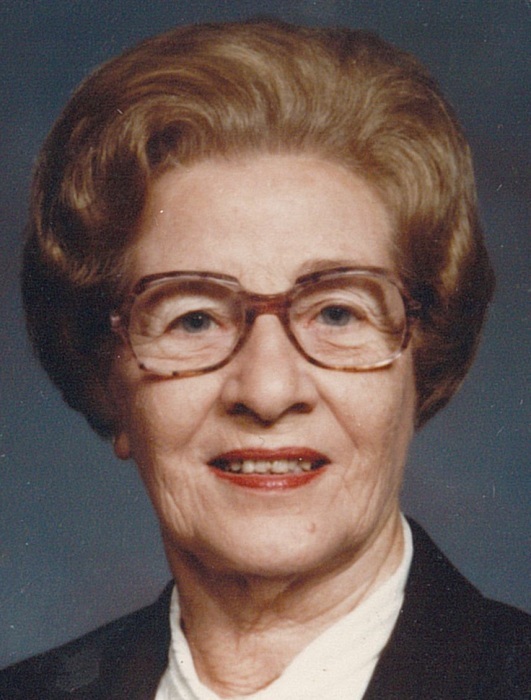 Alice E. Dandino, 102, of Girard, passed away on May 29, 2018 at Maplecrest Nursing Home in Struthers, Ohio. Alice was born August 19, 1915 in Girard, Ohio , the daughter of Emanuel and Alice (Freidhofer) Hake. She was one of ten children. Alice graduated from Girard High School in 1932 as Salutatorian of her class. After graduation, she worked at Mullins Manufacturing, during the war, making shell casings. She then went to work at General Fireproofing for 22 years before retiring. Alice was a member of First Christian Church, where she belonged to the Four Fold Class. She leaves her children; Joan (Richard) Dillon of Kansas, Diane (Robert) Seeger, of New Springfield, Ohio, Ellen (James) Luken of Troy, Ohio and William (Becky) Dandino, of Palmer Lake, Colorado, nine grandchildren and 8 great-grandchildren. Preceding her in death were her parents, 5 brothers and 4 sisters. Funeral services will be held on Thursday, June 7th, 12:00 PM at Blackstone Funeral Home in Girard, where the family will receive relatives and friends from 11:00 AM until the time of service. Alice will be laid to rest at Girard City Cemetery. The family requests any memorial contributions be made to Hospice of the Valley, 5190 Market St., Youngstown, Ohio 44512. Visit www.blackstonefuneralhome.com to view this obituary and to send any expressions of sympathy to the family.